There are all kinds of reasons why people collect playing cards, and it can even be a hobby in itself. And why not? People collect all kinds of things, so why not playing cards! Especially given the wonderful and creative designs of the high quality custom decks that are being produced in recent years, they do make the perfect collector's item. But maybe you've got a growing collection of custom playing cards, and you're wondering what else you can do with all those playing cards. Or perhaps you've worn out a deck, and it no longer handles well enough for performing with, so it's ready for retirement - what do you do with it now? Besides collecting, there are some obvious uses for a deck of playing cards, including playing card games, or performing card magic. But it turns out that there's a whole lot more you can do with a deck of cards than you might think. Here is a baker's dozen of great ways to get some real mileage out of your playing cards. Some are silly, some are creative, and still others are just mundane - but perhaps you'll find something here that inspires you! 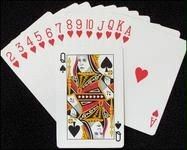 There are many wonderful card games that can be played with a deck of cards, including popular traditional favourites like Bridge, Hearts, Spades, Euchre, Rummy, and Cribbage. 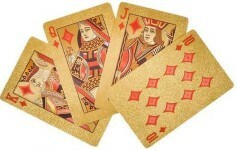 And if you like the excitement of gambling style games, there's Poker, Blackjack, and many more. Besides the traditional favourites you might already know, there are many excellent card games, and in most cases you can learn the rules for free online. The best website on games with playing cards is easily Pagat.com. Some easy games that I highly recommend trying include Knock Out Whist, Blitz, Scopa, and President, while games like Oh Hell give room for more skill. If you need more suggestions for great card games, check out this list of my personal favourites here. There are some great books on the subject too, with David Parlett's Penguin Book of Card Games being the most comprehensive - it's a great resource, and will help put those arguments about rules to rest once and for all! There's some terrific solitaire games that you can play on your own with a deck of cards, and it can be a good way to pass the time, or even to enjoy your favourite custom deck of cards. 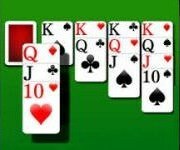 Personal computers have popularized solitaire games like Canfield, Klondike, Freecell, and Spider, but there are many other excellent solitaire games out there. A good place to get started is the Wikipedia page on the subject here. If you're new to this kind of thing and want to begin with something fairly easy, I'd suggest Golf, Pyramid, or Monte Carlo. For something more challenging, try a fan game like La Belle Lucie, or one of its easier variants (e.g. The Fan, Bristol). If you have an interest or background in magic, then you already know this, and it may even be the main reason you own a deck of playing cards in the first place! Every kid growing up should learn at least a few good card tricks, and all you need for that is a decent quality deck of cards, and the help of your public library, or of course the internet and youtube. Any set of playing cards will work, but ideally you want cards that handle well, and there's a wide range available for Under $10. Cardistry has been defined as "the performance art of card flourishing", although "juggling with playing cards" is an equally apt description. Many readers have probably heard of cardistry before, but for the doubters, I can assure you that it is a real thing, and it even has a Wikipedia page on the subject here! Cardistry is about doing things like fanning and cutting cards in a creative way and with a high level of skill, thereby turning it into a performance art. Instead of doing ordinary cuts and shuffles, expert cardists are able to do one-handed cuts, complicated shuffles, turnovers, tosses, and catches, in a way that is a beauty to watch. You can even buy decks of playing cards that particularly lend themselves well to cardistry. The Virtuoso deck of playing cards was specifically designed for cardistry, and has a real visual appeal when fanned and flourished. Some of these flourishing techniques can also be used to make your card magic look more impressive, so there's application to the world of magic as well. You'll find some great cardistry decks on PlayingCardDecks.com here. Many crowdfunding projects for playing cards offer an add-on option to purchase an "uncut sheet". This is a complete printed sheet showing all the cards in a deck prior to them being cut into playing cards. I never really saw the value of this, but a family member recently bought one of these uncut sheets and put it into a glass frame, and it looks absolutely amazing! Or try making your own with a Typography deck. Especially with a creative and artistic deck, putting playing cards on display in this way can turn them into beautiful works of art. These works of art make great decorations to hang on the wall, while also giving a tribute to your passion for playing cards and magic. A deck of playing cards can make a great supply of bookmarks! Especially if it's a special custom deck with nice artwork, but is a little too worn for continued official use, why not re-purpose the cards and use them as bookmarks? I've often done this, and my playing cards have often found themselves doing wonderful service to keep track of which effect I'm working on in my magic books, or even as a handy marker in a fiction novel I'm reading at the beach or beside the pool. Any custom deck will work, but the cards from the $100 Bill Gold Foil deck especially make very classy looking bookmarks! Building a house of cards, or a "card tower", is not as easy as it looks! Also called "card-stacking", there's a Wikipedia page here devoted to this subject too. 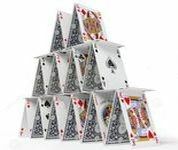 Bryan Berg (USA) created a world record 72 stories in 1992, and since then has kept and broken this and numerous other related records, including the tallest house of cards, and largest house of cards. In 2010 he built a replica of a hotel, which took 44 days and 218,792 cards (more than 4,000 decks) - it weighed over 250kg, and was 3 metres tall and 10.5 metres long. See a video profile about Bryan here. Some googling will help you find some techniques to improve your card stacking abilities. Pick up some decks from the Under $5 range for some nice decks to use that won't break your budget. 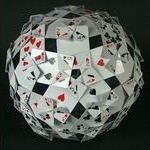 George Hart has some great ideas for using playing cards to create complex polyhedral shapes. You can find out more at his website, which includes full instructions. A great idea for math class perhaps? Put a deck of cards into a bottle! Wait a moment, you say, that's impossible! Well, isn't that why they call it an impossible bottle?! But there are ways to do this, although you may have to dig a little to find the secret. Some Kickstarters offer these as add-on options for purchase with a new deck of cards. Jamie Grant is a well known creator of these, and his impossible bottles typically cost $100-200. So unless you're really keen, perhaps this is something to the experts. I'm certain there's only one way to get something into a glass bottle, and that's through the neck, and it's a very time-consuming, difficult, and near-impossible job. I know someone who makes these as a hobby, and they are impressive and mystifying to see firsthand, but they do require a lot of effort to create. Have you ever tried throwing a card? 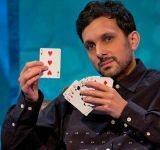 It's much harder than it sounds, but there are techniques you can learn to throw playing cards long distances and at high speeds. It's not that difficult to learn the proper grip and method for throwing a card. To get some idea of the basics, head to Wikipedia again here. If you get real good, maybe you can start competing with Rick Smith Jr, who is the world record holder for throwing a playing card 216 feet and 4 inches at a top speed of 92 miles per hour. Seriously! When you're as good as him, you actually can slice fruit with a playing card! There are several instructional DVDs available that will teach you how to do this kind of thing. But even if you aren't ready to start destroying fruit, it's a lot of fun to try, so I definitely recommend giving card throwing a shot! You can even buy special cards designed for the purpose, like the Banshees deck, which add a "sonic scream" when the cards whip through the air. One of the oldest forms of fortune-telling is called cartomancy, and uses playing cards. Personally I don't give it any more credibility than reading palms, tea-leaves, stomach rumbles, or cloud shapes, but it certainly uses playing cards. 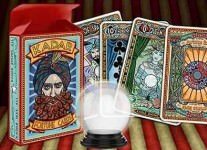 Special Tarot and Oracle decks do exist - see a range of them right here. But cartomancy can also be done with a standard deck of 52 cards and Jokers as well. While any deck will work, the KADAR Fortune Playing Cards are especially geared to this purpose, and they work great for magic too. How do you make a bicycle sound like a motorbike? 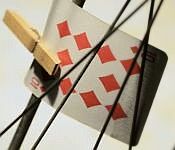 By affixing a playing card to your bike frame with a peg, and having the card flap loudly on the spokes as the wheel turns. Using playing cards to soup up bikes and make them sound like an engine is something that kids have been doing for years - certainly I did it many times in my childhood! Nowadays you can even buy an official product (Turbospoke Classic) to do this. But using a playing card works just as great for kids today as it always has! If you need help figuring out how to do this, head to Instructables for directions. When you're really stuck, you never know how a playing card might come in handy. 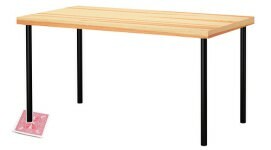 Do you have a wobbly table that needs levelling out due to an uneven table leg? Playing cards are perfect to use when you need just a few layers underneath that one table leg to get things straight. Has that steak dinner left something between your teeth at a fancy restaurant? In a pinch, you could even use a playing card as a toothpick, and while it wouldn't be my first choice for re-purposing a deck of cards, in an emergency it might work! Playing cards to the rescue! Finally, let's conclude on another magical note. Some tricks and moves can be brutal on playing cards, and even destroy them. And yet as always, you need to be able to practice these tricks before you're ready to perform them in public. An old deck of cards is perfect to use for this purpose. Many magicians will put their old decks to good use by "destroying" them as part of their magic practice. 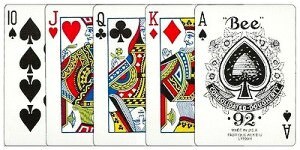 The "Mercury Card Fold" and routines involving a "Torn and Restored Card" are just waiting for your old playing cards! Isn't it great to know that playing cards have such a variety of uses?! So next time someone challenges you about the amount of decks of cards you own, point them to this list. Meanwhile, happy playing with your playing cards! Join the discussion: What do you use playing cards for? And do you have an alternative use for them that has not been mentioned here? Please comment and share your ideas! Note: I first published this article at PlayingCardDecks.com here.